The idea for No.9 came to me within a few hours of the the APQ nine-patch challenge announcement. 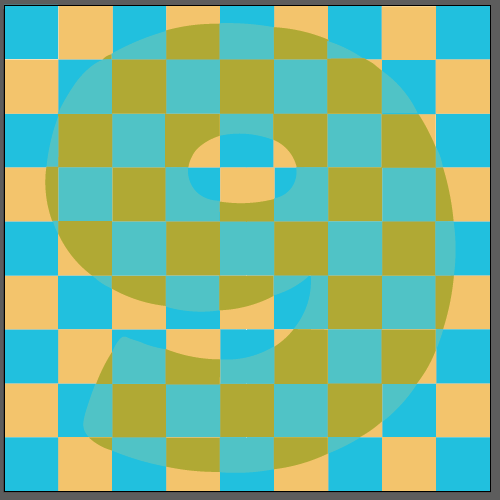 Nine is a sacred number to me and I couldn’t get the vision of a giant “9” quilt made of nine-patches out of my head. At the time, I was at my mother’s house, sleeping in my childhood bedroom. The idea was so urgent, I scrambled out of bed and scrounged up a scrap of paper to document my thoughts. That’s not project management, of course. That’s just a beautiful, fleeting thing we call creative inspiration. Inspiration fuels me for about 5 minutes. Getting down to work and seeing something through to the end is another animal entirely. Riding the inspiration train has resulted in my starting about a zillion projects… and not finishing a majority of them. Bringing creative things to fruition has been a very important piece of my recent journey. Not as long ago as I’d like to admit, I began applying project management skills I’ve learned in my professional life in order to get my work out into the world. The APQ nine-path challenge has a deadline of November 30. At the time I conceived of No. 9, that was a long way off. But knowing all the things that I have/had going on between the day I decided “let’s do this thing” and Nov 30 – not to mention my propensity for procrastination – I knew I needed a plan before I lifted so much as a thread. Drafting the quilt and ordering fabric seem like a perfect place to start. After all, that’s the exciting stuff in quilt design and making. BUT… I knew I needed to start with November 29. Why, Nov 29? Because that’s the “drop dead date” (known as DDD from here on out!) for having the quilt done. And because I can easily spend 4 or 5 months falling in love with fabric and admiring a lovely quilt sketch… but doing little else. And there are SO MANY other things to do! So, backwards from Nov 29, it is. I know I need a week for photographing. November is unpredictable, weather-wise, in the mid-Atlantic states. We might have mild, sunny days. Or rain. Or a couple of feet of snow. Blocking off a week to get some good pictures, regardless of what is going on with natural light and outdoor space, is the minimum. That makes my DDD up to Nov 23. Wait, Nov 24 is Thanksgiving in the US. Better add an extra day or two. It is doubtful that I’ll get much photographing done when there is turkey and pumpkin pie. So back that DDD up to Nov 21. Ok, so then there is the binding. While most people dislike binding their quilts, I actually find it quite enjoyable. But this quilt is going to be a monster, I better give myself two weeks just in case. Binding must start by Nov 7. Before the binding must come the quilting. I quilt on my regular machine; I’m not a long-armer and I prefer not to send my quilts out to anyone. I definitely need 2 weeks for this. Again, it’s a big quilt. Quilting must start by Oct 24. Piecing and applique is kind of special for this quilt because the blocks are all very different. There will be many plain blocks, but every pieced/appliqued block is totally different. So no chain piecing. Not much assembly-line type of production. Plus, since it’s for a major organization’s challenge, I will be particularly persnickety about measuring seams and pinning and pressing and all the cautions I sometimes throw to the wind when I make a quick, fun quilt project. I’ll need a month. Piecing must start by Sept 26. Because of the special nature of this quilt’s design, I need to make a full-sized paper draft of it. And I need to trace off each applique block onto precisely cut freezer paper. I need 2 or 3 days to do this. Full-sized drafting must start by Sept 23… well Sept 22. In order to make the full-sized paper draft, I need to create a full-color digital draft in Illustrator. I need a day or two for that. Digital drafting started by Sept 20. So now, we get to the fun stuff. Drawing and color choices and fabric! Fabric choice is easy since I know I woill use Kona cotton and I have a Robert Kaufmann Kona swatch set. Fabric ordering needs to take place by the time piecing starts… but of course, I love ordering fabric, so I actually ordered as soon as I sketched the thing and generally figured out the math. Now here’s the big question. I’m writing this post the first week of October. Drumroll, please.…. YES! I am! I’m actually ahead of schedule, because I’m almost done with the piecing. And I credit project management! Seriously. There is no way I’d be on track if it wasn’t for the plan and the dates. So there you have it, something as dull and corporate as project management working some big-time magic in the making of a quilt. I look forward to showing you the finished version by Nov 29!